Took this this morning with the AF 1.7 on my 200mm lens just for a test for those that are interested. If I had the money I could buyone new from Scandinavian Photo for 1 895 SEK, equiv 270 USD. Are they not available in the US or Canada? Or is it only ebay fever? So many people purchased Pentax cameras lately that things like the AF 1.7 that are no longer made are out of control price wise. Looks pretty dang sharp to me. Why is the Pentax 1.7 so expensive compared to Tamron, Sigma, and Kenko? Are the others just rubbish? I believe it is the only one that makes a MF lens AF! nice test, but why does the exif say 300mm instead of 340mm if on a 200mm lens?? It is the only one that turns any A or A* lens into an autofocus one. I was trying that out yesterday for a short time on my A*300MF4. It did turn that into an autofocus one. The combination of it with the TC at wide open at F4 was shown at F5.6. 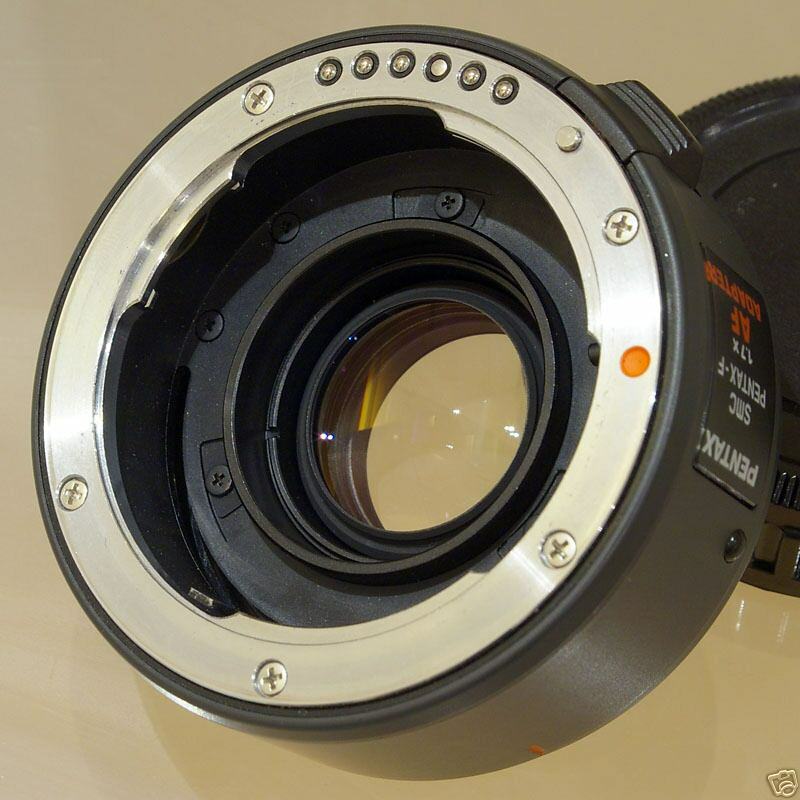 Imagine the potential of it on any A or A* lens (longer than 50mm) . Say A*85mm1.4, A*135mm1.8, A*200mm F2.8.a*300mmF2.8.... or any A* lens. The permutation is limitless. And its supply, well, is less than hens' teeth let me say that. I hope some Sigma or Tokin or Kenko or better stil Pentax guys can hear this. As you can see below, very simple design. I don't know why my verison of CS2 does that with the EXIF data, but with non AF lenses it doesn't seem to be able to get the focal length correct. I used my A* 200mm 2.8 lens with the adapter for the sample photo, but still it claims it is 300mm for the combo.